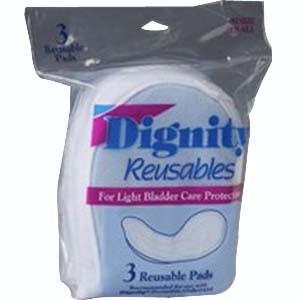 The Dignity® Reusable Pads are contoured for the utmost of comfort. Its soft dry fabric feels clean and fresh against your skin. The uniquely designed channel helps to disburse fluid throughout the pad. Absorbent poly/rayon core and poly/vinyl knit moisture-proof barrier. Affordable alternative to disposable liners.